With a keen cook for a mother, I spent my early childhood years as her trusty kitchen assistant. While I genuinely believe that a love of cooking is in your genes, it sure does help growing up in a household where home-cooked food is the only food. Learning the basics early on gives you the skills and desire to explore further as an adult. I don’t have kids. I’m only 24 and still figuring out how to look after myself half the time. I do, however, borrow my half-sister from time to time. She doesn’t do a lot of cooking at home, so I almost feel it my duty to impart my knowledge. She loves coming to her big sister’s house to cook. I even bought her a special apron to keep at my house and hang with mine. Now to be completely honest, it took me a while to get used to having a mini helper in my kitchen. I’ll admit that I tend to be quite controlling, so I find it rather difficult to just sit back and watch while my kitchen slowly turns into a bright pink buttercream explosion. I just tell myself that once upon a time I was exactly the same, and that if my mum hadn’t let me explore and express myself from an early age, I wouldn’t have had the opportunity to learn from the mistakes I made. I probably wasn’t as “trusty” as I thought I was, come to think of it. Needless to say, my sister enjoys herself. 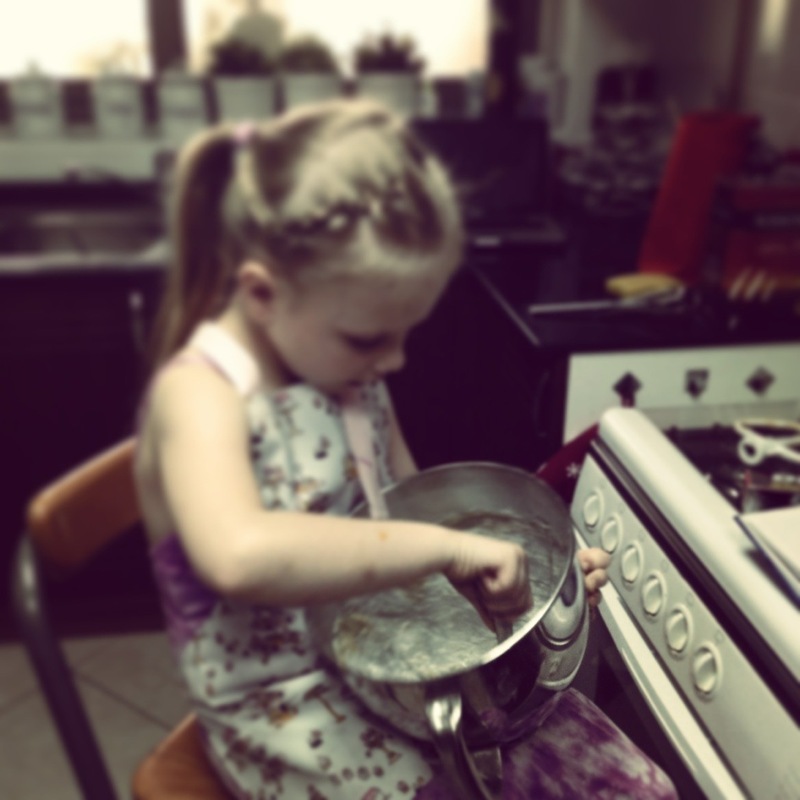 I am proud that at 4 years of age she already knew the ingredients for a basic vanilla sponge. Clever little nugget. So I am constantly on the lookout for great child-friendly recipes. You need the perfect balance. 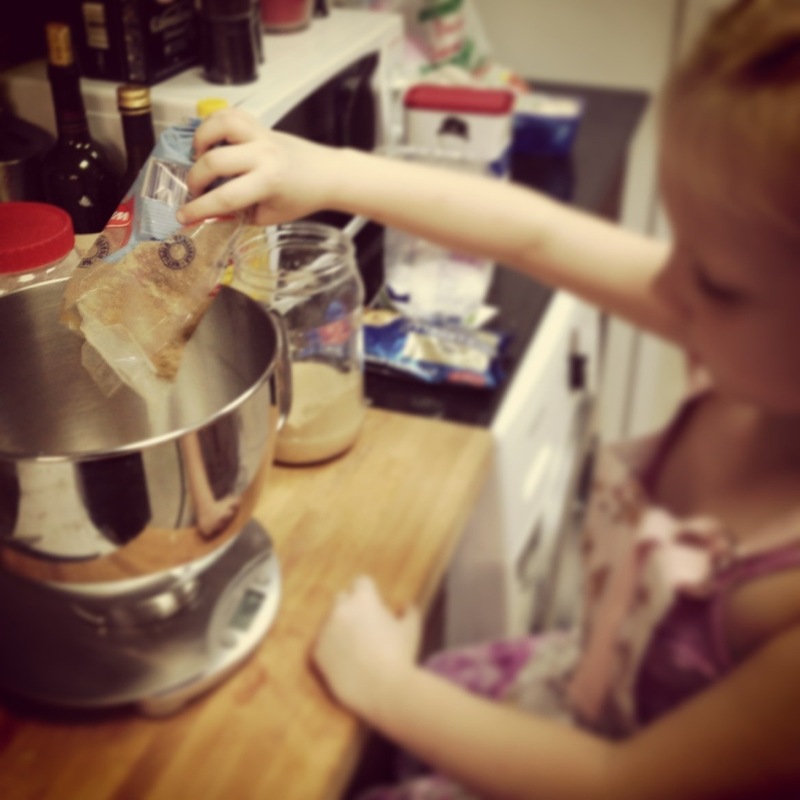 A recipe that is not too difficult, but that allows your mini-human to participate enough that they don’t get bored. And most importantly, a recipe that they will find delicious! 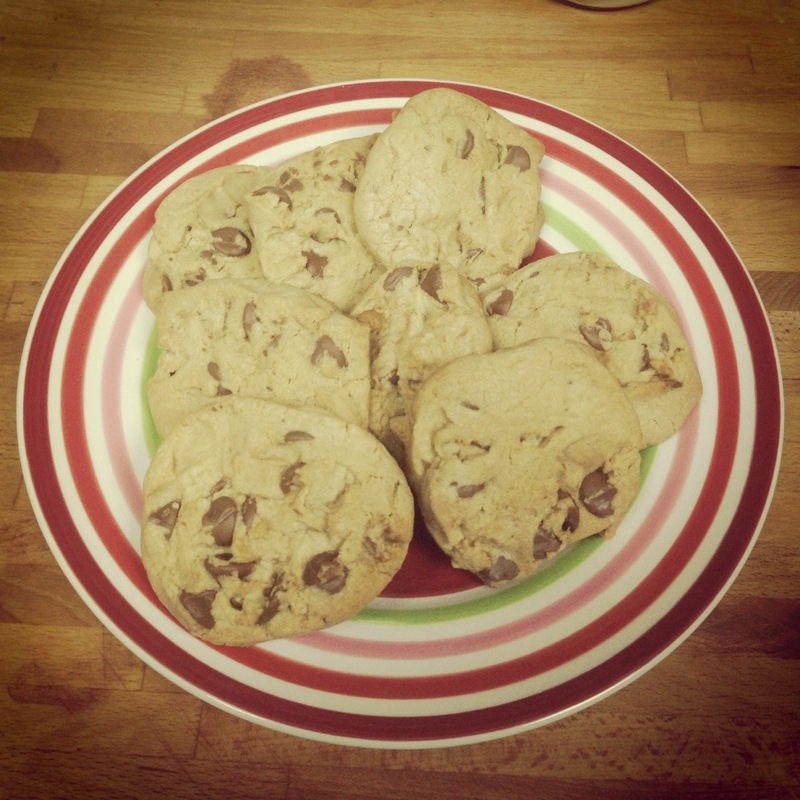 We made chunky american-style chocolate chip cookies a few weeks ago. These are great fun, because you can adapt the recipe to suit your taste. We used large milk chocolate-chips, but you could use a whole host of alternatives. I’ll list some suggestions below the recipe. Happy baking y’all. 1/ Preheat the oven to 190C/375F/Gas 5, and line a baking tray with greaseproof paper. 2/ Combine the flour, baking soda and salt in a bowl. 3/ In another bowl, mix the butter, caster sugar, brown sugar and vanilla extract until creamy. 4/ Beat in the eggs, one at a time. 5/ Gradually mix in the flour mixture. 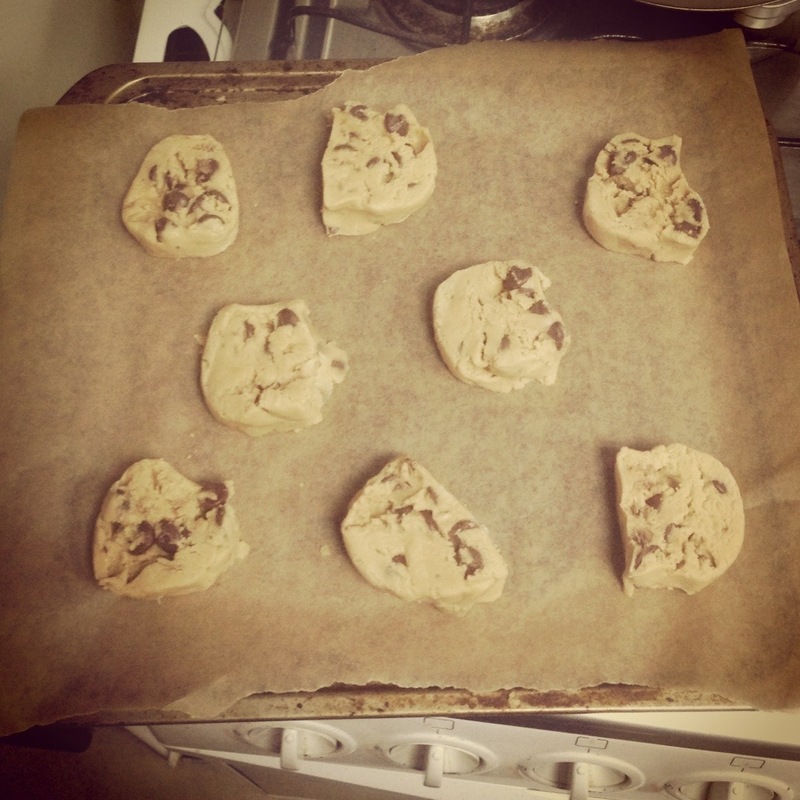 6/ Fold in the chocolate chips. 7/ Bring the dough together into a ball, then split into two halves. 8/ Roll each halve out into a sausage shape, about 5cm/2in in diameter. 9/ Wrap them in cling film and refrigerate for at least half an hour. 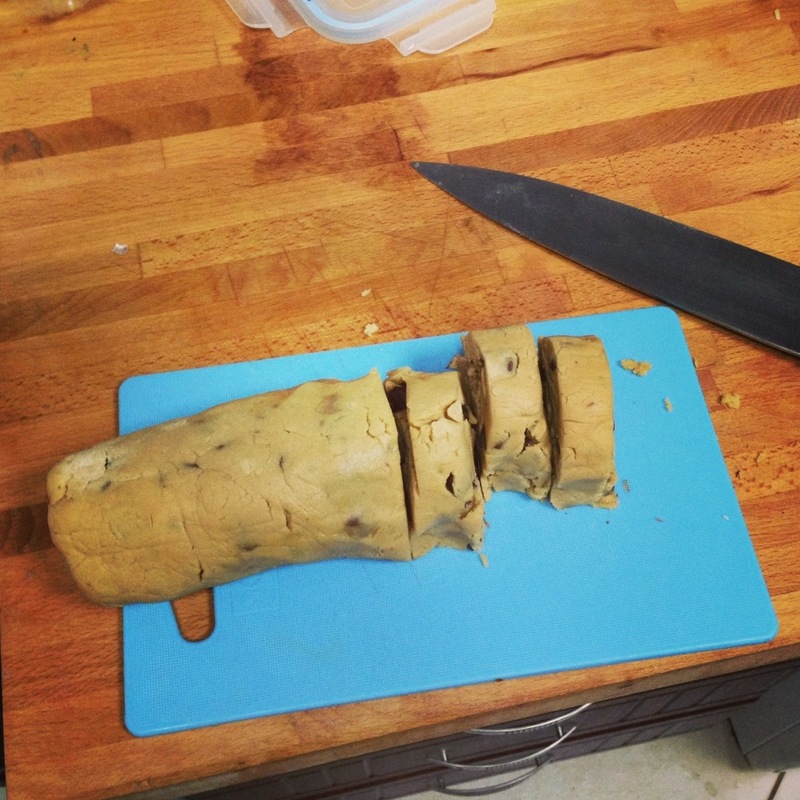 10/ Cut the log into slices 2cm/¾in thick and lay on a baking tray, widely spaced apart. 11/ Bake for 10-12 minutes, or until they are golden brown. 12/ Place on a cooling rack. They might still be a little flimsy when removed from the oven, but they’ll firm up as they cool. Alternatives to chocolate chips: white chocolate buttons, walnuts, raisins, almonds, dried cranberries, smarties, crumbled dark chocolate. Why not try a combination of two? The world is your oyster!